I cannot believe that it has been almost 28 days already! I really hope that this blogging series has helped some of you and has in itself added some happiness to the world. 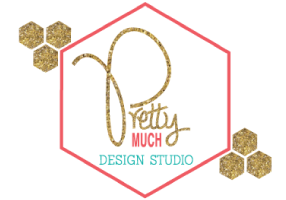 It has been an incredible project, and I am so grateful for having the opportunity to work with Sarah and to create such a positive project in the blog community. Throughout this project we have posted up things that make us happy, things that make you happy, and things that make others happy. We have shared positive links, ideas, projects, and posts with each of you. Hopefully each day you were able to look forward to the information and creative awesomeness that we wrote to the world. Choose Happiness – Happiness is a choice that we make for ourselves each day. We can choose to me weak, sad, upset, or unhappy. Or we can choose to be strong, happy, kind, loving, and positive each day. It is our choice and that is what makes it so beautiful! Sure, there are tons of things that can drag us down each day, but if we wake up and say to ourselves, “Today I choose happy!” it’s going to be a huge step toward making that happen in our lives! Be Grateful – Without a sense of gratitude, happiness can diminish. We become bitter and sad. We can feel alone or grouchy. However, when we learn to be grateful, even the small triumphs, tokens, and achievements become something to celebrate. Be grateful for what you have, who you have, and what you are able to do. Being here on this earth is a blessing. Don’t forget to be grateful for that! Forgive People – Holding a grudge is such a heavy burden. It brings us down, handicaps us, and eventually defeats us. When someone is truly sorry, forgiving them will free up all sorts of time and energy in your life. You will no longer need to worry about your hatred, your bitterness, your sadness. You will have so much more time for positive, wonderful, and happy emotions. You will feel so much better! Accept Your Flaws – We are all flawed and that is one of the most beautiful things in this world. Being flawed is what allows us to connect with others! Think about it, if you were perfect in every way, you would never need others to make you feel complete. If you were perfect, you wouldn’t need anyone because you could do everything for yourself and do it perfectly. There is a reason that we have people in this world that are talented in Art or Science, or Math or Writing, and the reason is because we can’t do it all ourselves. Once we accept this, we can begin loving ourselves for our own strengths! Laugh – Laughter is healing. It gives us the opportunity to feel good. Laughter reminds us that every moment of life doesn’t have to be series. It gives us a chance to let go a little, and as a little extra bonus, it ensures that we smile. Have you ever laughed without smiling? I challenge you to try that! Laughter is a real medicine for sadness and the best prescription for happiness. Do it every day! 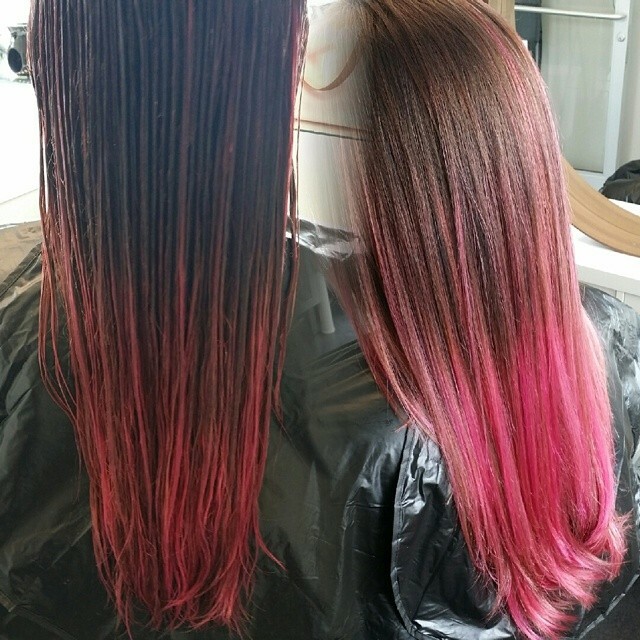 As some of you probably know by now, I recently colored my hair pink. It was a decision many, many years in the making, and the right time was finally now. Although I certainly don’t feel that I must defend this decision, I do have an explanation. Even my husband is on board with my #pinkhairdontcare choice! Coloring my hair was something I had always wanted to do. To be honest, the first memory I have of colored hair was actually done on a dog. I thought it was so cute, and I really wanted it for myself, however, it never really made sense. Under the roof of my parents, I probably would have been grounded until I was 50, and after graduation and my move to California, I was still trying to figure everything out and get a decent job. It had always been impressed upon me that “normal” was the only way to be if I wanted a good job and “normal” did not include colored hair. After that experience, I stayed inside the lines for the most part. I only used hair colors that were basically natural until I got out of the military. Then, I decided to put one small streak of hot pink in the front of my hair. I liked it, but it didn’t last long. Again, the boss wasn’t pleased, so I had to get rid of it pretty quickly. About a year later, I decided to go blond. It wasn’t very pretty on me. Going from a dark brown to blond overnight produces an ugly warm blond color in my hair that just wasn’t attractive. After a few months, I went back to normal. Then, a few days later, I decided to put a few streaks of blue and purple in my hair. 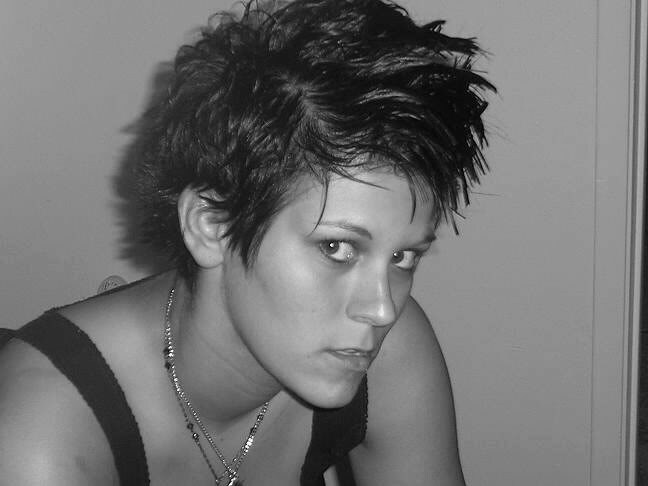 That was a lot of fun until again, I got a corporate job and the boss frowned upon my colorful hair. Back to normal again! Are you beginning to see a pattern here? It seems like every time I do something fun with my hair, my boss gets mad. For some reason, colored hair is frowned upon, and those that have colored hair get strange glances from people wherever they go. I almost feel as though colored hair is more horrific to the average boss than a body full of tattoos. At least that’s how it feels! However, I have found myself intrigued by both tattoos and colored hair. I’ve never seen either as a bad thing, or looked at either with a raised eyebrow. I love when I see someone with tattoos or colorful hair. I think it’s beautiful. For the most part, I don’t even think that they do it for attention. I think they do it because they can and because they want to. 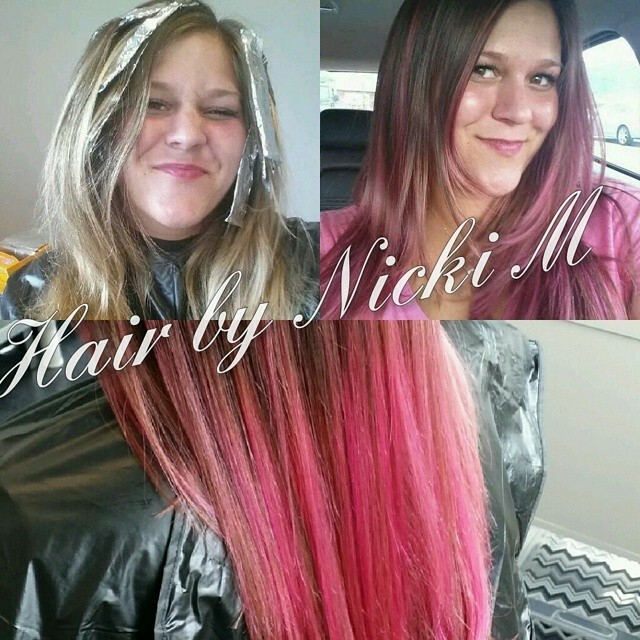 Everyday people wear their favorite color clothing, drive their favorite color car, and decorate their homes with their favorite color, so why must it be so taboo to color your hair with your favorite color? Back in June I announced my new, full-time job – working for myself from home as the CEO and Creative Director of Pretty Much (See that post here). I no longer had a corporate job in which I had to keep the boss happy. I was finally in charge and could do what I wanted with my hair. I’d been waiting forever for this opportunity, and I was pretty darn excited. I talked to my husband about it, and even he was on-board. 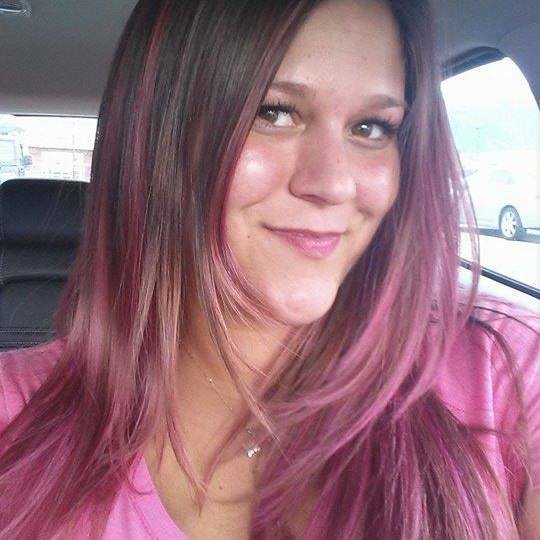 So, just before we left for vacation, I went in and had my hair colored pink. I had a professional do it to ensure that despite the wild color, it would still look good and wouldn’t look tacky or trashy. My thought process, and the argument I used to win my husband over on the idea was that if I were given the choice between two different creative professionals to decorate my wedding and create my stationary, the first one I would check into would be the one with pink hair over the one with regular brown hair. I’m not saying that brown hair is bad or boring or that you shouldn’t have it, but I know from my personal experience that pink hair defiantly makes a create statement and brings out my personality. The moment that we have bad service of that somebody doesn’t smile at as, we tend to complain. Any bad experience certainly doesn’t go unnoticed. We quickly hop online to write up a bad review or speak to the manager, but how often do those positive interactions get noticed. Sure, we might add a little more to the tip at a restaurant or smile at a stranger who opened the door for us, but honestly, how often do you really go out of your way when somebody makes your day or helps you out? In the last few months, my husband and I have been trying to recognize these moments and situations a bit more. Have you ever seen those trucks that ask “How’s my Driving?” and list a phone number to call? We’ve actually called those numbers to give compliments to a diver who is driving well. It surprises the people on the other end of the phone line when they realize we are calling about a compliment instead of a complaint. Little things like this can make somebody’s day. It really can mean a lot to somebody. Today, I want to offer you a way to make these people realize that they are appreciated; to show them that their kindness has not gone unnoticed. Go ahead and download these adorable little thank you notes. You can print them out and cut them apart. Then, carry them around with you. When somebody acts kindly or in a way that puts a smile on your face, give them one of these little cards! It will surprise them a whole lot. I guarantee that! If you really want to add a special touch, you can even write a short note on the back letting them know what they did to make your day. This is just another small way to add some happiness to your life as well as the life of someone else. You’ll fee good for having recognized the goodness within somebody else, and they will feel good for having been noticed. It’s really a win win! Stay tuned for tomorrow’s post by Sarah over at With Love Paper Goods, and I’ll see you right back here on Sunday to share some more fun! Have an awesome weekend! Welcome back to Pretty Much! Did you absolutely love Sarah’s printable yesterday? I thought it was just darling, and I loved her idea of building happiness within her home by placing inspiring messages where her and her husband will see them most often. We all could use a constant bit of happiness in our homes everyday, so this is such a wonderful idea! I love it! Today, I want to share some really inspiring links with you. A while back I heard about a book called The Happiness Project. 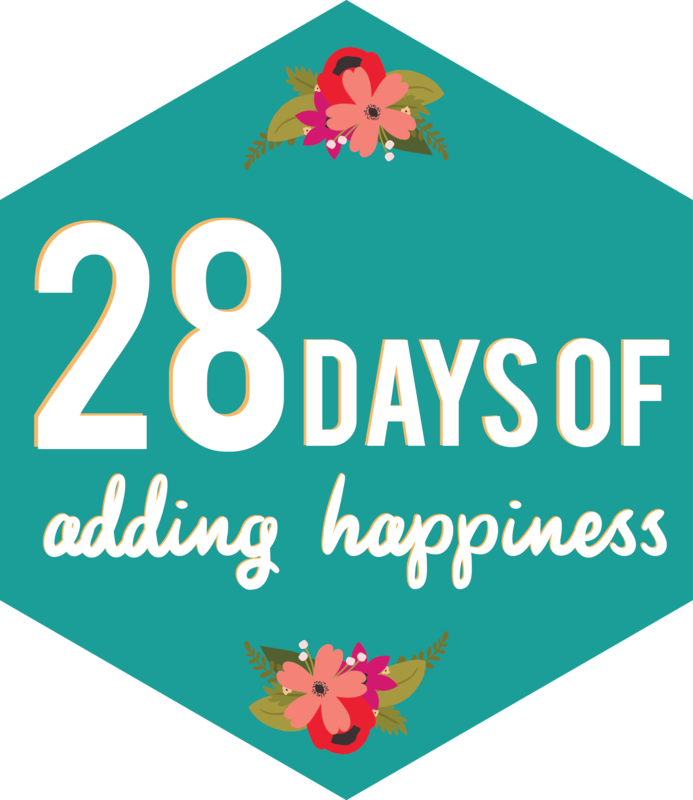 I fell in love with the idea of making small changes each month in order to make my life a little happier and perhaps a little more fulfilling. I read this book from cover to cover all the while taking tons and tons of notes. 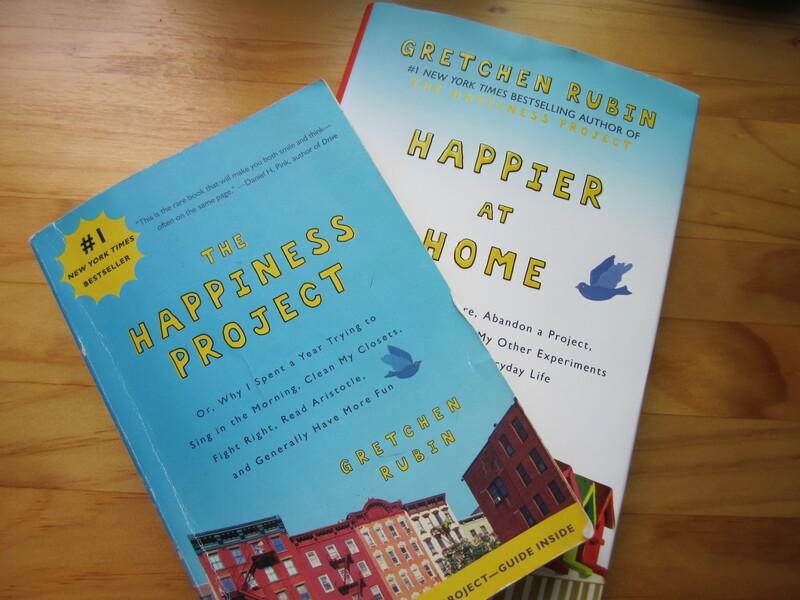 I took the information and research that Gretchen Rubin wrote about and created my own happiness project. Her book really has changed my life is a very real way. I feel that everyone should grab up a copy and read it. Even if you don’t end up doing your own Happiness Project, the book gives you a chance to reflect on what makes you happy and how you can change your life a tiny bit at a time. Gretchen Rubin also has a website that she created for her project and continues to update regularly. In fact, she even has a blog! Not only did she write this book, but she also now has journals, print-outs, manifestos, and another book! I’ve picked that one up too, but haven’t had the chance yet to read it. I’m expecting that once I get back from my Walt Disney World trip, (Oh, did I forget to mention that I’m currently blogging from my vacation in WDW?) I plan to read that book cover to cover as well. It is titled Happiness at Home and looks just as good, if not better than the first book. It really ties into Sarah’s blog post yesterday about creating a happier home by placing inspiring messages around the home. If you choose to read her book, I highly suggest checking out her website as well. The website has all sorts of lists, ideas, quizzes, and much, much more that can help you along your journey to happiness. Trust me, you deserve this! You can even sign up for various emails from Gretchen to include a daily happiness quote in your inbox! Oh, and she has yet another book coming soon! Have you read any of Gretchen Rubin’s books? What did you think of them? Leave me a comment, and tell me what you thought. I’d love to hear from you! Don’t forget to visit Sarah’s blog tomorrow for another dose of Happiness as she gives some awesome Happiness tips! I love it!